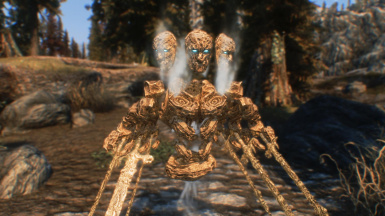 Air Atronachs now in Skyrim. Along with an artifact of a powerful Air Monarch. Use the mod as you like, jut pm me about it or say it in the comments so I can know. 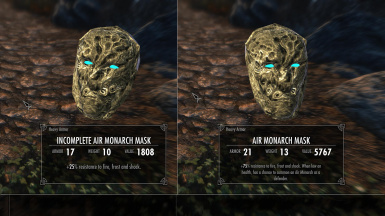 This mod adds a new Atronach type called "Air Atronach". 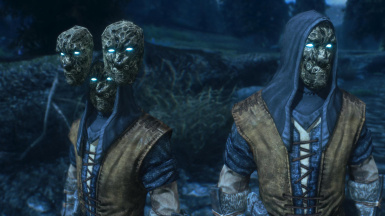 These atronachs are based on the ones from ESO. 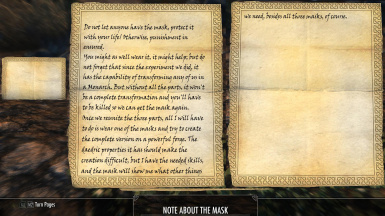 It adds 2 new playable conjuration spells, 2 new staves for those spells, 2 new masks and a new enemy. Both spells will be more powerful if you have the Elemental Potency perk. 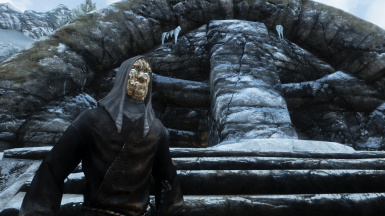 The spells and masks can be aquired from the 3 new bosses around Skyrim (Check the images to see locations). These bosses are powerful and will be very hard to defeat with a low-level player. Read the note they carry. The non-DLC version of the mod adds the staves to the bosses. 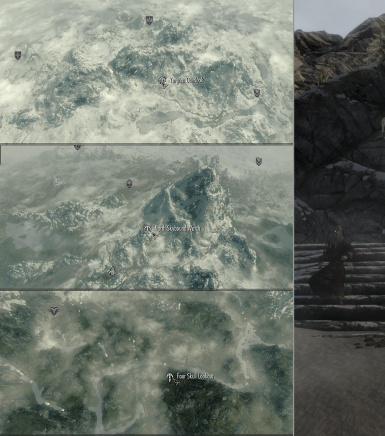 The other version - Dragonborn DLC version requires the main file (Non-DLC version), it won't work without. The Dragonborn-DLC version removes the staves from the bosses but allows for them to be created at the Staff Enchanter (if you know the spells). The Dragonborn-DLC version also changes the Air Atronach/Thrall/Monarch power to a cyclone. I know they don't look the same as the ones from ESO. Thanks to DGC and Dptheslothking for them. Contact me if you'd like to use any assets from this mod. Be sure to take a look at my upcoming mod project!